The Jamie's + 1: Halloween PJ's! 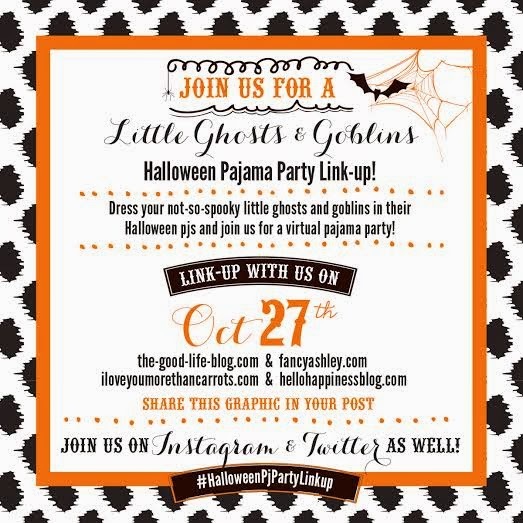 Super excited to be linking up with some wonderful ladies to show off my sweet, handsome little boy in his Halloween pj's!! Halloween pj's #1 - Lazy Bones! I can't lie... I love me some skeletons!! Halloween pj's #2 - Vacuuming in our pj's... Can we pretend the hole in my favorite pj shirt makes it Halloweeny?!?! Yes Nicklas is in the same Halloween pj's but adding a cousin in her matching Halloween pj's makes this Halloween pj's #3!! I can't wait to check out all your little ghosts and goblins in their Halloween finest!! So precious! Love the hugs! Adorbs! Who can resist a cutie pie in holiday PJs! I wonder if I vaccumm in my pajamas that it would make it more fun? Your littles are so cute. Hi Sydney!! It was not more fun! haha!! At least the vaccumm my little boy was using actually picks up stuff... so that means half the work right! ha! Thanks for stopping by! oooh I love the Mickey jams! And, of course - holes totally make things more Halloween-y!